The bedroom comfortably accommodates up to 5 people with a double bed and bunk beds. 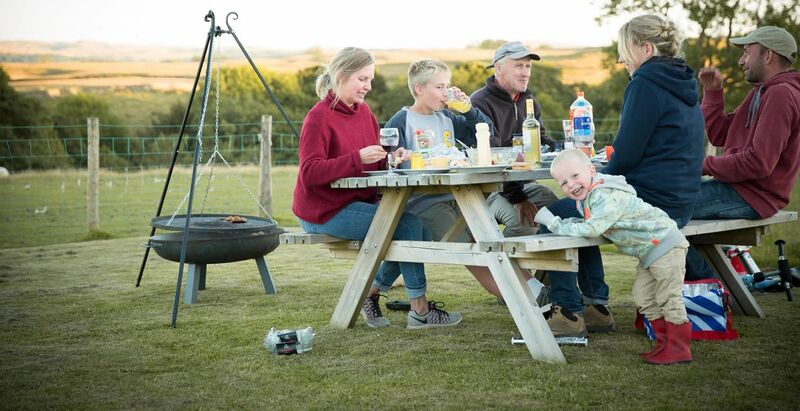 Stay on our working farm, enjoy local produce, tranquility, adventure, it's really up to you. A stunning and timeless setting for you to explore. 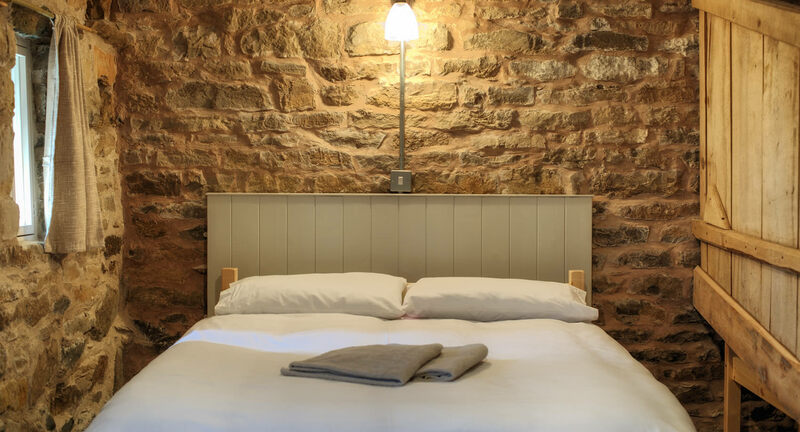 Stay in the fantastic renovated Barn at the heart of our farm. Venture into the fells or the valley for some stunning cycling and walking. Visit outstanding local attractions like Lowther Castle and Gardens or while away a warm afternoon in the nearby village of Askham and indulge in afternoon tea and cakes. 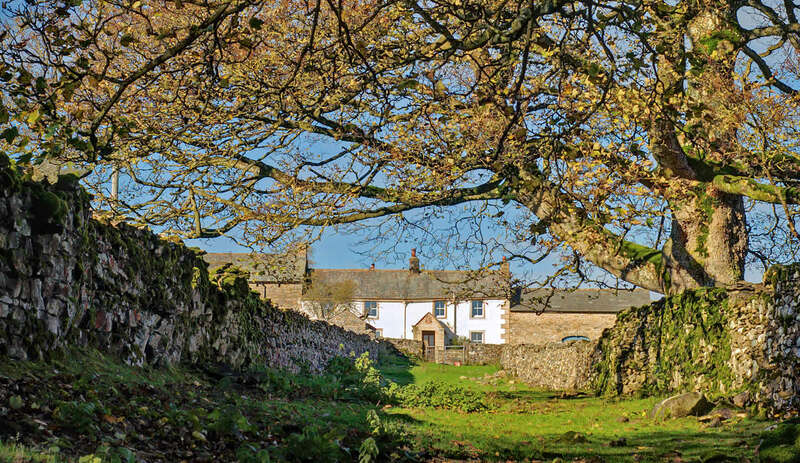 A beautifully restored self catering Barn located at the heart of a working farm in one of Cumbria’s most idyllic settings. Widewath is a a traditional upland hill farm with panoramic views across the Lowther Valley and beyond. A great place to come armed with bikes and boots! Bag a Wainright or take a stroll around Lowther Castle and Gardens, or a cruise on Lake Ullswater. 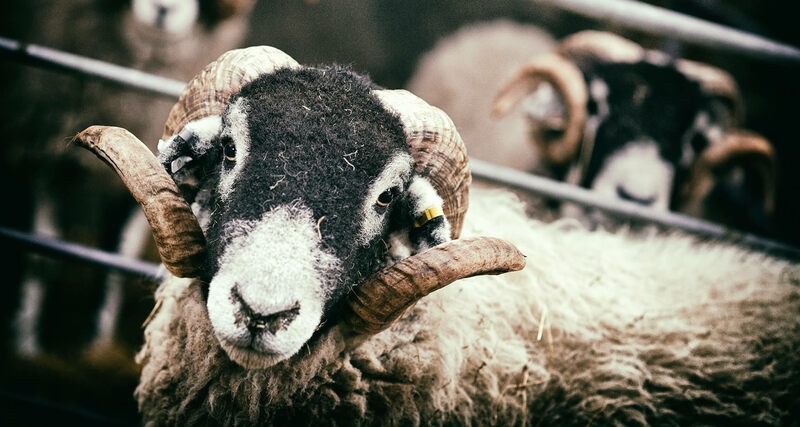 A beautifully restored Barn located at the heart of a working farm in one of Cumbria’s most idyllic settings. We care about the place we live amongst the open fells. We get amazing juice from the apples, grow our own veg and rhubarb, and have free range hens! 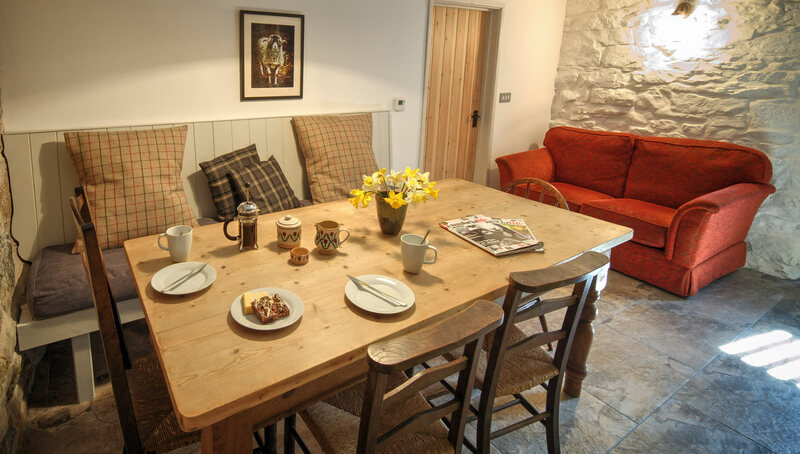 The Barn is a small self catering unit sleeping up to 5 people. The bedroom has a double bed and bunk beds. The restored stable stall is still in place and provides a privacy screen in the bedroom. Relax around the large pine farmhouse table in the living/dining room. This room leads into a secluded space, a 'snug' to spill into to pour over maps and plan routes for the following day's activity.